2015 has been a great year for analytics and marketing professionals. 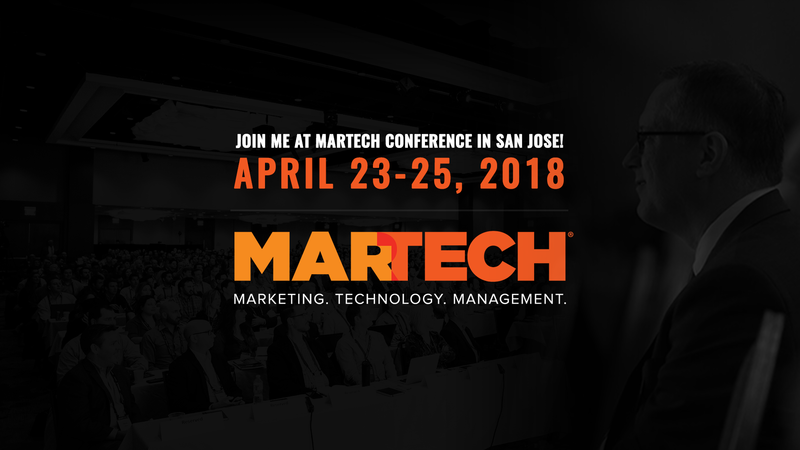 We saw many new developments including launch of Periscope, blurring lines between content marketing and digital campaigns and increased used of data science for marketing. In this podcast, we will discuss 7 new digital marketing and analytics trends for 2016. You will hear seven predictions that can change the way you run your analytics and marketing organizations. Customer journey analysis will become mainstream part of business analytics. Periscope and other live streaming avenues will become key marketing channels. Big data and data science initiatives will not be limited to large organizations. Mobile advertisement spending in actual dollar value will exceed desktop ad spending. Digital marketing will overshadow other marketing channels. New advertising venues will emerge to replace traditional desktop advertising. Content marketing will become even harder. Jeremy Roberts:	Thank you for joining Analytics Today, a podcast series that focuses on big data and analytics, digital marketing and the latest trends in the digital world. I’m your co-host Jeremy Roberts and with me is my co-host Sameer Khan. Hey, Sameer. Sameer Khan:	Hey, how’s it going, Jeremy? Jeremy Roberts:	It’s mid holiday season, we’ve passed Thanksgiving, it’s almost time for Christmas. It’s getting crazy. I think, right now I think most digital marketers out there and analytics professionals are trying to finish up projects and actually take some time to relax before the new year. What’s interesting about that is even though they’re relaxing, trying to get their thoughts together, I think what’s interesting is trying to figure out what’s going to be big in 2016. Sameer Khan:	Yeah, planning out for the new year. What are the new things that they want to go pursue from a professional stand point and from a personal level as well? Jeremy Roberts:	Yeah. I think what’s great about today’s topic is the seven digital marketing predictions for 2016., so we’re going to be talking about those today. Very exciting. Let’s just go ahead and jump into it. Jeremy Roberts:	Prediction number one, customer journey analysis will be main stream. Sameer Khan:	Yeah, absolutely. The customer journey analysis. The whole idea behind putting the customers ahead of marketing and sales has been out there for quite some time. It’s not a new novel idea. We all want to give the customers the best experience we can and the brands are striving for it. As a matter of fact, there are lots of data that shows by 2020, about eighty percent of the brands will strive for getting or improving customer experience. They will programmatically compete on customer experience itself. Jeremy Roberts:	Let’s briefly define, what is a journey? That could mean different things to different people, but in your words, what is the actual customer journey? Sameer Khan:	Absolutely. When we start talking about the concept of customer journey and journey analysis, it is one of those concepts that actually puts the customer at the front and the center. A few years ago the whole idea was we’re going to serve the customer relevant advertisement or relevant content. Then the whole idea was just drive specific groups or personas. This is my persona and I’m going to target this persona by this content, and target this particular persona by this ad. Now what’s happening is the customers have, there is so much content, there’s so much advertisement going on that the customer is getting frustrated. With these personified groups of customers, my individual feelings are not, my individual experience is not being met. The whole idea of journey analysis is every customer has a very specific and unique journey with a brand. To give you an example, I was in the market six, seven months ago, looking for blinds. For me, I had a very specific criteria for me and my wife, how would I go about purchasing blinds. I used that criteria, the colors that she likes, the way that we want to have our blinds look like. The technology that we want to have built into that. It’s a very specific purchase. Same thing for technology buyers. If I’m in the market looking for a marketing technology, or I’m in the market looking for a security technology, it’s going to be very specific requirements to my organization, the stake holders internally. That’s going to lead to a very different journey than anybody else. I think that’s what the journey analysis is, which is understanding not only the aggregate, but also the individual journeys of these customers, so we can latch on to that and provide them better marketing, better analysis and better customer experience. Jeremy Roberts:	Yeah, and I think that’s the key message there, because as you say, aggregate versus individual. What we’re saying is that through the evolution of the customer journey, it’s not that we’re going away from building up personas or identifying groups of people based on commonalities, that’s still relevant and that’s still available. We’re also talking about is when you get to that point of true interaction with that person, it needs to be a customized interaction, based on that specific user. Here’s the number one reason, it’s mobile. Mobile is a very specific and very intimate type of advertisement. If you’re going to send an ad through a mobile device to somebody, it better be exactly spot on to that person, to that experience. Because nobody wants any general type of ads to a mobile device. When it used to be desk top, when it used to be just any type of digital experience outside of mobile, going through the bases of a persona or generality, works. When you start to hit that mobile device, it better be pretty specific to you. Sameer Khan:	Absolutely, yeah,. You brought up a really good point because every single person has their own personalized mobile device and that speaks to the whole journey notion. That’s one of the biggest reasons why we’re talking about individual journeys here. From prediction stand point, we strongly believe the trend will continue. As a matter of fact, accelerate in 2016, as journey analysis will become a key part, a main stream piece of the analytic strategy. If you can look out there to companies such as IBM, Sales Force, Journey Mapping, Visible and all the other technologies are moving in that direction, very, very quickly. Putting that technology in the hands of almost all the marketers and analytics professionals, relatively faster than we think. Jeremy Roberts:	I agree. Okay, so let’s got to prediction number two. The prediction here is Periscope and other live streaming avenues, will become an important marketing channel. First of all, what is Periscope? Sameer Khan:	You tell me, you have had great experiences with Periscope. Jeremy Roberts:	Yeah. Periscope is done through Twitter and it’s a live stream, video live stream of whatever you want to record. My experience recently with Periscope was I was at the Gartner IT Symposium in Orlando this past fall. I was privileged through IBM to be able to do a Periscope on universal behavior exchange, or UBX, which is bi-directional data exchange tool. With that it was, there was somebody with a camera, they ca use an iPhone or they can use any kind or recording camera of sorts and they went live. The thing is this is not prerecorded and sent, it’s actually done live, right then. It’s a live feed, voice and video. It was exciting, it was fun. Sameer Khan:	Absolutely, and I think … This is great. If someone downloads Periscope app and they have these auto pop ups switched on in their cell phone devices, auto notification, you’re going to see people from all over the world are jumping in and recording whatever they want to record in that instance. One of the Periscope that I was watching, it was funny. This guy from Houston, he is starting to become very popular in Periscope, so wherever he drives, he has a dash cam in his car. He just switches on for a few minutes and he records something really funny, then he switches off. Three are a wide variety of things people are trying to do and experiment. Even the marketing side people, like what you said, you were talking about a specific strategy or products. I think it’s still in its infancy. I was reading some of the numbers, I think it is getting to a hundred million mark, pretty quickly. I really think the age of live video streaming … YouTube introduced us to the concept of recording video, but I think Periscope is going to bring us to the place where every single person is recording live video and streaming world wide, which is going to accelerate a lot in 2016. We’re also going to see marketing departments, digital marketing people, using Periscope more diligently as a means of marketing avenue. Jeremy Roberts:	Completely agree. Love it. Let’s jump over to prediction number three. That is, big data and data science will not be limited to just large enterprise level organizations. Sameer Khan:	Yeah. Your IBM, I’ve been at IBM, been in companies where data is considered the new oil. It is one of the most important ingredients of now, the majority of the large and medium organizations. Even the small organizations they’re trying to use it. I think big data and data science were a buzz, I would say, probably a year ago. It’s been a buzz for quite some time. Even though the underlying tactics, if you look at, if you get where the rubber hits the road, it is not new. These words have been there for quite some time, but now, because there is so much data being produced, I heard this last statistic, there’s ninety percent of the worlds data was produced in 2015. Which is an enormous amount of data that’s been created. Plus, a whole new level of technologies are coming in the market, that can allow an average professional to use data effectively. Previously, it was considered primarily the responsibilities of companies like IBM, Micro Soft SAP, who had proprietary technology to drive insights from large volumes of data. Today, tools like Trifecta, Tableau, [Altiris [10:22]] and lot, lot, lot other data preparation tool, and data visualization tools, make it easier and a lot less complicated to utilize data and make sens out of it. Sameer Khan:	Even Gartners Magic Quadrant, if you look at it for operational data base management systems, which was heavily dominated by big name brands, you’ll be surprised to see now it’s focused on technologies such as No SQL company, Mongood, DB is in there, Data Stax is in there, Reddit Laps and others. I think by mid, say mid 2016, we’re going to see corporations, big and small enterprises using data hub approaches to enhance the agility and decision making, based on data. Sameer Khan:	Couple hundred bucks. Jeremy Roberts:	Yeah, couple hundred dollars at Walmart. Something cheap. I think it’s the price of technology and the availability of that technology for everybody. This is going to be a game changer. Sameer Khan:	It is, plus if you look at the open technology, like in a Hadoop system, Apache Spark and all these, technology is starting to mature and they’re not just open source that some Joe Schmo developer in the garage is using, these are becoming main streams technologies, that more and more organizations are using. As we see the convergence of bigger technology, which is the internet of things, and cloud and big data. Jeremy Roberts:	Yeah, totally agree. Cool. Well, let’s go to prediction number four. Mobile spend in actual dollar value will exceed desk top. This is big. Sameer Khan:	Yeah and this latches into the comment that you made earlier about mobile. I think, we have been talking about this for quite some time, that mobile will over take desk top, mobile will over take desk top. Now mobile, per usage stand point, I’m pretty sure it is far, far ahead from how much desk top is being used. I think the span wise, from a digital ad spending, mobile is actually going to over take desk top in the year 2016. If you look at some of the numbers, currently in 2015, the expectation is we’re going to have twenty six billion dollars of spend in mobile, versus thirty-two billion dollars in desk top. That’s going to change. Desk top is, as a matter of fact, decreasing, so we’re going to twenty-nine billion in 2016. Mobile is going to shoot up by forty-one percent to thirty-seven billion dollars. These are all data available from a very thorough study done by E Marketer, if there’s anybody interested in the source. This is what we’re going to see. We’re going to see accelerated growth in mobile spend, because there are so many different ways, you look at the mobile pay, you look at all the apps that have advertisement in there. All the other channels and avenues coming in, Periscope is also a critical part of mobile. That’s going to help people to identify these areas where they can use these mobile devices and start marketing and spending advertisement dollars. Jeremy Roberts:	There’s a caveat to that, and this is something I’m just thinking of is, mobile spend will increase in the same way that, you remember how when social media started to become big and everybody started spending on social media? Not because they knew why, because they knew they just had to, so people just started spending, but nobody knew how to collect and understand and act on that data. I have a feeling, with this prediction, there’s going to be a percentage of people who spend in mobile correctly, know how to collect that data and know how to act on it. Then there’s going to be a far larger group of people, who are going to increase their mobile spend, because they know they have to. The problem is that they’re not going to know what to do with it, they’re not going to know how to understand it because they haven’t yet figured out the entire customer journey analysis. Sameer Khan:	Which is exactly the reason why our number one prediction was all about customer journey. Which absolutely makes sense. Jeremy Roberts:	Yep, very cool. Let’s go to number five. Prediction number five is digital marketing will over shadow other marketing channels. Yeah, this is big. Sameer Khan:	What’s your thought on that? Jeremy Roberts:	I think this move, I think this move has been, has been slowly moving over to the digital marketing world, at least for the past three years, four years. In my mind, I think we’re calling this out as one of the predictions for 2016 because, the increase in mobile. I think it’s the increase in the customer journey. Those are the two things that are truly causing digital marketing to really over shadow the other marketing channels. It’s because digital can be quantified. Digital can be tracked. When you talk about other marketing channels, we’re talking about ones that, what is that old school channel that you can’t really track, but you know it works? Print. Yeah. Display, outdoor display ads, like billboards and stuff. Yeah, you can measure how much foot traffic you get on a given day and how many impressions you might get, but it really doesn’t tell you exactly what the true value of it is. What is the opens, what’s the clicks, what’s the click through, what’s the view through? What’s the true ROI on it? For me, I really think that the fact that digital marketing will over shadow other marketing channels, it’s a culmination of everything. It’s a culmination of number three, big data. It’s a culmination of number two, Periscope. Number one, customer journey. Number four, mobile spend. It’s all these different things together. Sameer Khan:	Yeah, very well put. I think, in addition to that, one thing that’s happening is the conversions of offline and online. There’s still a delineation between offline and online, there had, okay these advance marketing people or people who are in the field marketing. They are bringing in all these leads and all this contact information and customers, versus these digital people that are doing X, Y, Z stuff on the websites. Now, with the modernization of technology with all these different things that we have such as Periscope, such as [Beacons [17:00]], such as location targeting, I think there is a huge convergence happening between offline and online. It’s not just, it’s not about is it offline and online? It’s about omnichannel, it’s about that one big beast in your marketing where all these different avenues fit. I don’t even think that omnichannel is the right word, I think it’s the digitization of marketing. The complete marketing itself, becoming digital. Calling digital marketing as a separate department is no longer the right thing to do, because digital applies to everything that you’re going to do. Every contact you’re going to have with that client or the customer. Jeremy Roberts:	Here’s an example, print, what’s the only way to track or connect print to digital? QR codes. Sameer Khan:	QR codes, yeah. Jeremy Roberts:	Yeah. Anymore thoughts on this one, or are you good? Sameer Khan:	I think I’m good. I think the message here with this prediction is people who are still thinking that the legacy avenues of marketing, that are not digital, are going to continue to stay the same, I think they need to think again. I think every single marketer, even if they are used to being in non-digital stuff, they should get themselves educated in how to use digital technologies, very, very quickly. Jeremy Roberts:	Sure. Cool. Let’s talk about number six. Prediction number six is, that new advertising venues will start taking more of the desk top budget, IE, virtual reality, wearable tech, IOT and mobile pay. Sameer Khan:	Yeah, and this falls into the same spectrum that we were talking about, the mobile ad spend, which is going to exceed desk top budget in 2016. It’s not just mobile, because of mobile, it’s not just mobile device, which we call a smart phones, there’s going to be a lot more mobile technology that’s going to be coming in. Which is wearable tech, everybody now, most of the people that you see now are wearing some type of device that is tracking their activity. Plus we have mobile pay, which is going to become a very prominent part of your smart phone experience, when you not only have your boarding passes, your coupons in there, but it’s also going to be a great venue for advertising, and the internet of things. We have technologies like a record rater is going to start talking to our microwave oven, which is going to start talking to our dishwashers, it’s going to talk to our car or things like that. All of that is going to be a very unique experience for people. I think that’s also going to be another advertising channel, where there are going to be very specific ads on your washing machine. You know those Amazon things, I don’t know what you call them, where you press the button and you can order your detergent with one press of a button. The crazy things are happening today, and it’s going to continue to happen, and pretty much, that Amazon button is just marketing. It is nothing else, but is a way for you to order Tide, continuous basis, Tide is paying Amazon, they have a contractual deal. Automated, basically you can order Tide. Things like that are already happening, I think it’s going to have more impact on where your spend goes. Again, it depends on the company. If you’re in a B-2-B technology company, things may look different in terms of how you budgeted, but if you’re retail, then it’s going to be a rapid shift in budget in day-to-day technologies. Jeremy Roberts:	I think retail is the big one. If you were to look at this prediction anywhere, whichever industry, it’s a retail. It’s going to be retail technology. One of my favorite things to do is to go to Kickstarter, and to look at all the new technologies coming out there. All the cool new stuff that people are helping to fund. Those are going to be the new ways that people are going to be spending. Jeremy Roberts:	It’s pretty amazing all of the new ideas and all the new avenues that people can have to spend on. I’m curious to see, the market has accelerated year to year, and in 2016 I think it’s going to accelerate even faster. It’s going to be interesting to see what comes up. I’m excited, I’m a total tech geek and early adopter, so this is the kind of stuff I look for. Sameer Khan:	Well, I can definitely vouch for that. Sameer Khan:	You’re already an iPhone eight now? Jeremy Roberts:	Yeah, I have problems, right? Sameer Khan:	No, no, that’s great. Jeremy Roberts:	Cool. Let’s see, prediction number seven. Here’s one that’s, here’s a prediction that’s been around for a long time, we’ve all heard of the phrase, content is king. I think that content is king maybe came out almost three to five years ago. Here’s the thing, content’s not going anywhere, but the prediction is content marketing will be even harder. It’ll be definitely even harder. Sameer Khan:	Yeah, and I think the whole idea here is because everyone is doing content marketing. Sameer Khan:	People have realized the power of content. The traditional display media, which used to be hey, you get fifty percent off, click here and get X, Y, Z, it’s no longer viable. As we were talking about the customer journey, it is becoming more important to use these display and other media to drive people to access your content. This is what we’re doing here in the podcast, it’s a type of content and there are a wide variety of different types of content. I think content marketing is going to become more harder, and I’d definitely like to get your take on it. My personal perspective is, because everybody is doing this, and there is so much content that’s available today, a lot of this content that is being produced is to utilizing intelligent data, and not understanding the customers journey. That’s the reason why it’s going to become harder. You’ll need analytics, you’ll need advanced quantification of your content pieces that you put out there. That’s going to become very critical. The other piece is consistency. If you have a consistent flow of content, even today, if you have consistent flow of content that you are putting out there every week or every two weeks or so on, people are latching onto the content, people are starting to listen to your podcasts. People are starting to go to your blog and access the content, then you’re going to go a long way, versus just having sporadic bursts of content, depending on seasonality. Or depending on some type of study that you did with some organization. That’s what is going to really matter, content driven by data and technology. Then the consistency is going to be a very important piece. Jeremy Roberts:	A video, and that’s basically it. Today, there’s so many different options out there. You cant’ even name all the different options, we’re talking about Periscope today, that’s a piece of content. Things like podcasts, people think podcasts are dead. Podcasts are still around and well hell, this is a podcast itself. I think there’s three things I want to focus on, and the one is the relevance. There’s so much noise out there within content marketing before, is that you have to be very specific, and that’s where data comes in. You have to be very relevant to what exactly that user wants. The second part of that is timeliness. It has to be timely and specific to exactly what they want at what time. Then the third thing is specific to you, it needs to be available to relevant to you, but in the right avenue at the right place, at the right time. I think that’s where content marketing is shifting, it’s going to be even harder, because it’s not just a matter of saying, “I’m going to do average demand gen and create four types of content marketing, based on our personas and just push them out to the market place and hope and pray that traffic comes back.” It doesn’t happen that way anymore. You’ve got to be really aggressive, you’ve got to be really proactive. You’ve got to make sure it’s relevant, it’s timely and it’s specific to the right venue, to the right person at the right time. It has to be right there. I think that’s what makes content marketing harder. Sameer Khan:	I couldn’t agree more and one parting thought is when we’re thinking of content marketing, one big thing that’s going to be, you want to make sure that you are using the same content across all these different avenues. For example, this podcast, it’s a thirty minute podcast, we can transform this into a two minute Periscope live stream, right? Where we can call out these different set of seven predictions? Or we can have a blog post with this, or we can have a recorded video. I think that’s very important, because you can take that content and have all these different mediums where you can distribute them. A lot of people call it re-purposing your content, but re-purposing smartly. You don’t want to have the same structure, you don’t want to have the same theme, or the same words across all these different avenues, you want to be smart. You don’t want to have people sitting there watching your Periscope video for thirty minutes. It could be a two minute deal or it could be a one minute deal. Thinking in that realm is going to help marketers and content marketing managers a lot. Jeremy Roberts:	Completely agree, a hundred percent agree. Well very cool. I think this is good stuff. I think our audience out there is going to be excited. This is seven digital marketing predictions for 2016. Jeremy Roberts:	Yeah. Okay, well, thank you again, Sameer. This has been good. Sameer Khan:	This is great, thank you. Thank you for listening. Jeremy Roberts:	Hey, good, see you guys on the air.